Carolyn is currently senior editor of Calkins Creek Books, the U.S. history imprint of Boyds Mills Press and a freelance editor and writer. Calkins Creek specializes in nonfiction and historical fiction picture books, chapter books, and novels. Carolyn has served as the senior editor of history for Highlights for Children and has written numerous articles on research and writing history for children and is the author of John Adams: The Writer; Becoming George Washington; and George Washington: The Writer. 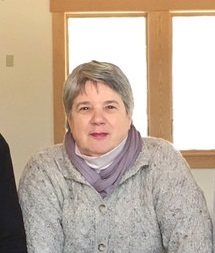 Carolyn spent a decade serving as the award-winning editor in chief of Cobblestone: The History Magazine for Young People; Calliope; Faces; and Odyssey, which led to her position as assistant publisher of Cobblestone Publishing, Inc., overseeing development of its book division. She has been a writer and an editor for the New Jersey Historical Society and the executive director of the New Hampshire Antiquarian Society.